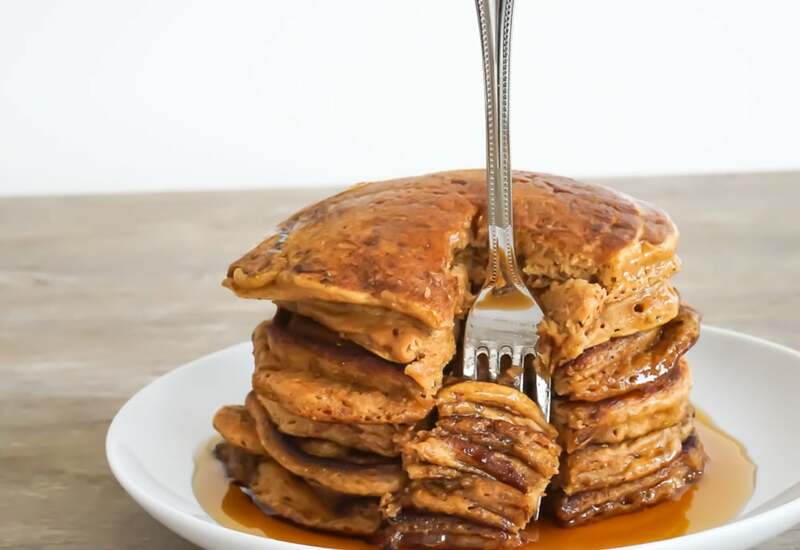 Get a little vegetable into your morning with this recipe for pumpkin pancakes. You can use canned pumpkin puree or make your own from fresh sugar pumpkins. These pancakes freeze well too! If you have any leftover pancakes, pop in a freezer bag and enjoy at a later time! Per Serving: 299 calories; 13g fat; 40.7g carbohydrates; 8g protein; 75mg cholesterol; 662mg sodium. I'm obsessed with these pumpkin pancakes. The puree actually gives them a delicious texture! These are my favorite any time of year, not just fall. So mouthwatering, especially with the maple syrup on top, I love it. Pumpkin season is in full effect! These pancakes are so delicious, and they came fluffy and moist. I also used the whole wheat flour, and honestly I could not taste the difference. Definitely one of my top 3 pancake recipes! 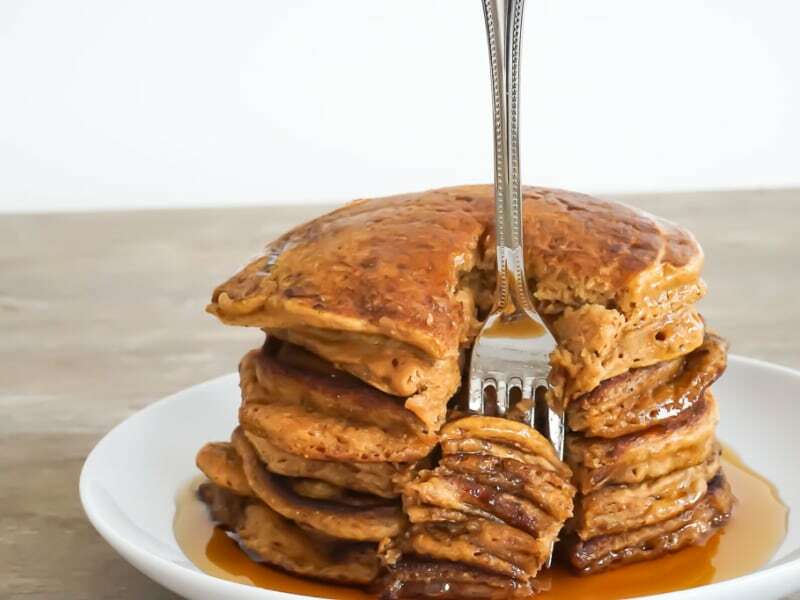 I used a gluten free flour alternative to make these yummy pancakes. They’re really good anytime of year, so don’t feel bad for getting your pumpkin spice on in the middle of spring.